LOS ANGELES (Reuters) – On the day when the Redskins had a second quarterback undergo surgery to repair a broken right leg, Washington coach Jay Gruden said that free agent Colin Kaepernick would not be the right option for the team as it looks for signal-calling reinforcements. Mark Sanchez, signed as a free agent November 19, took over for McCoy in the second quarter Monday, and he will remain the starter during McCoy’s absence. Before Monday, Sanchez hadn’t played in the NFL since 2016. McCoy was filling in for Alex Smith, who sustained a compound fracture in his right leg on November 18 against the Houston Texans. As for who will back up Sanchez, it won’t be Kaepernick. 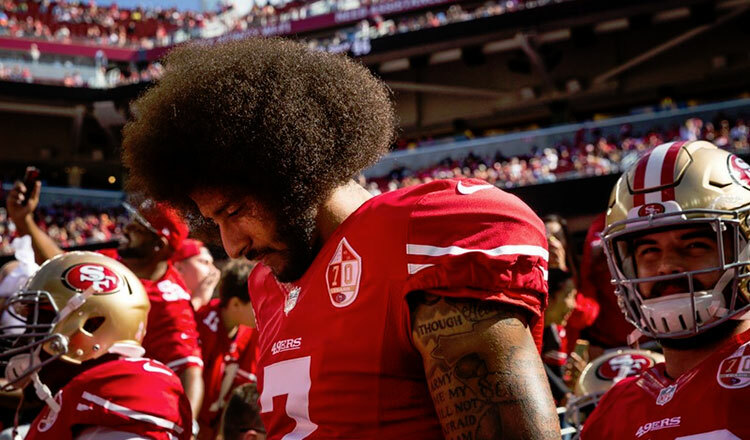 The former San Francisco 49ers quarterback, the first NFL player to take a knee during the national anthem in protest of police brutality and racism, remains unemployed. Gruden said Tuesday of Kaepernick, “Oh, he’s been discussed for sure, and right now at this point, we already had a workout last week for a few guys. We had a couple other guys come in today, and then it’s just going to be a matter of which way we want to go. “Do we want to go with a guy that’s familiar with my terminology who we worked out last week, or with a new guy to back up Sanchez with a similar skill set, or go with a guy and teach basically a whole new kind of offense with a new offensive line and with a lot of those zone reads and all that stuff.